If you want to locate Tessa Johnston on the field hockey pitch, it’s easy: all you have to do is find the most vocal player on the field. Whether she’s directing traffic in the defensive zone, discussing a play with an umpire or coach, or encouraging her teammates on a rush up the field, Johnston’s leadership qualities are ever-present both on and off the pitch. Although she has been a forward for her entire field hockey career, Johnston’s Regional coach put her back on defence for this year’s Train 2 Compete Tournament. In this new role, she and Hannah Schoenroth, co-captains of the Northwest Sharks, worked together to manage the team’s play from the back end. While she loves to talk on the field, Johnston plays with a level of confidence and composure that speaks for itself. As a member of the U18 BC Girls Rams, this will be her fifth consecutive year playing on the BC Provincial Team. She has played for Team BC every year since she joined the Regional program in grade eight. Johnston – back row sixth from right – with the 2017 U18 BC Girls Rams. The team earned a silver medal at the National Championships. 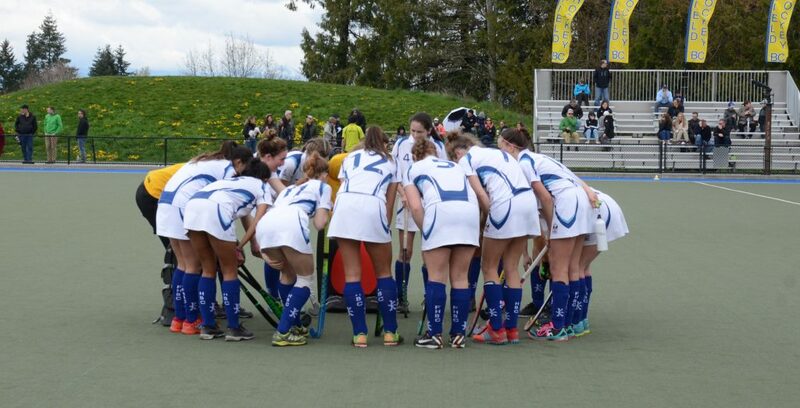 Johnston got involved in field hockey with the West Vancouver Field Hockey Club as a second sport to soccer. She has played soccer and basketball all through high school, but field hockey has been her top priority the whole way. Now in her grade 12 year, Johnston is deciding between the University of Victoria and the University of British Columbia to study and play field hockey next year. Both are eager to have her join their program and she is excited to have the opportunity to pursue her sport at the varsity level. As one of the more experienced and well-known athletes in the Girls Train 2 Compete program, Johnston has come a long way since she first joined the program. She attributes much of this development to the older players and coaches in her Regional Programs throughout the years who have supported her and pushed her to improve, both as a player and as an individual. Johnston with the Northwest Sharks at the 2018 Train 2 Compete Regional Tournament. 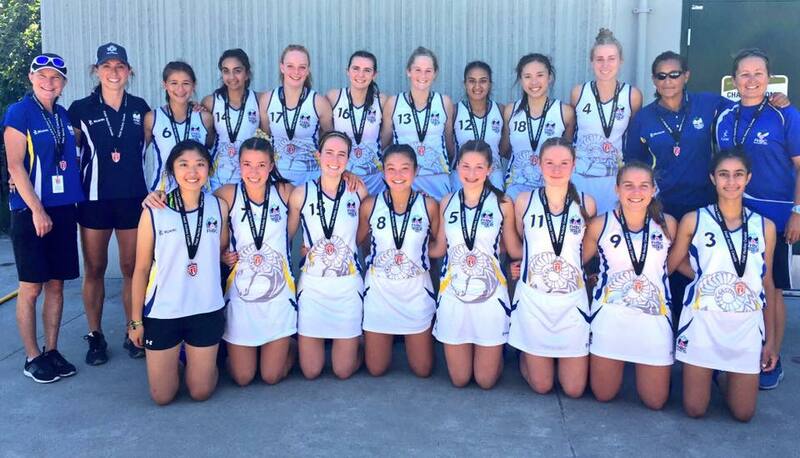 Johnston truly values all of the help and support that she has received over the years from the older girls that she played with on her Regional and Provincial teams. Now in her final year with the program, she finds herself in the position where she can pass that experience and leadership down to the younger group coming up through the Train 2 Compete Program, which she plans to take full advantage of. On a personal level, she is hungry to win a National Championship having come second many times but never first. Although beating Ontario is at the top of her priority list, Johnston is also keen to get to know some of the younger girls and help them develop the way others have helped her.